In the past year, we have been thinking, reflecting and jamming together on how we can enhance the future of innovation. One discovery that really struck us is that, within the innovation management profession, there is actually an absence of innovation in our working environment. So how can you improve that? How can you make your innovation team become more innovative by focusing on the physical environment? 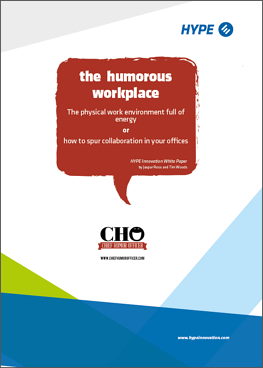 In this special report, we will explore the different benefits and functions the physical work environment can have and how you can apply this to your organization.